From Score Studios, the makers of Piczle Lines DX, comes Piczle Colors! Use the numbers around the side of the puzzle to work out how many blocks of which color should be painted in each row and column. Since the order of the numbers doesn't determine the order you need to paint the colors you'll need to stretch your brain to figure it out. Luckily there are two types of numbers that indicate if the colors should be painted together or separately. Smaller puzzles ease you into this new way of thinking and you’ll soon be hooked, working your way through 6 color packs with 50 puzzles in each, ranging in size from 5x5 to 15x10. Clear puzzles without using hints to earn coins and unlock lots of cool extra features, such as trophies, a 3D model viewer and lots more. Professor Matrix, Score-Chan and D-Bug all return in a new story where their usual mischief this time see’s the world drain of its color. Find out what happens as you strive to return color to the world! 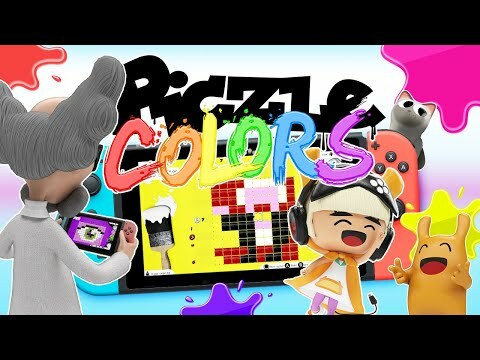 Piczle Colors was released on Switch 84d ago in the US and the UK. Notify me when Piczle Colors is available.